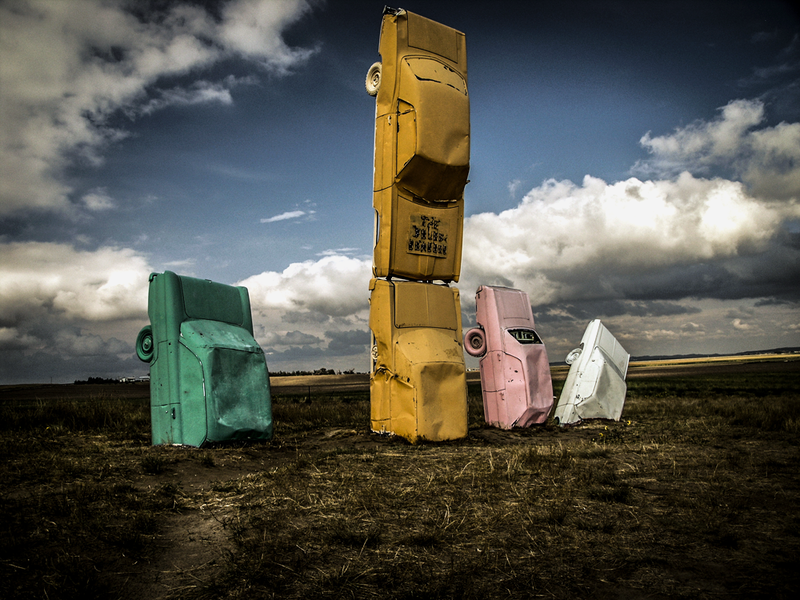 I took these photos years ago, on a hot, cloudy summer afternoon in the middle of nowhere, Nebraska. 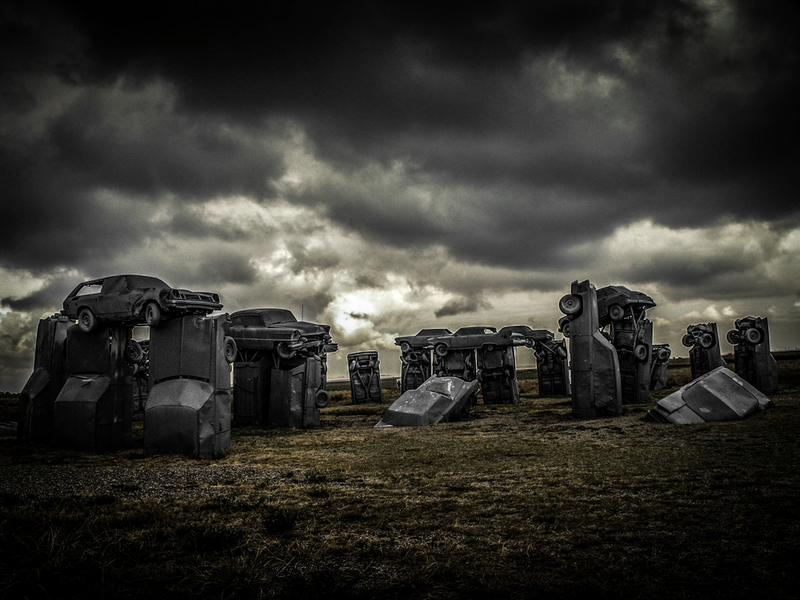 Carhenge is a replica of Stonehenge, formed from 38 vintage American automobiles. The last photo with the colored cars represents seasons. Spring, Summer, Fall, and Winter. Very effective – almost apocalyptic in some ways. Thanks for the comment! I agree with you, it was definitely something you don’t see everyday. Absolutely fabulous pictures of this famous site. Thanks so much for sharing. I truly enjoyed looking at them. Thanks! 😀 Thank you for checking out my post! Beautiful and very original! Thanks you made me discover an awesome art work. 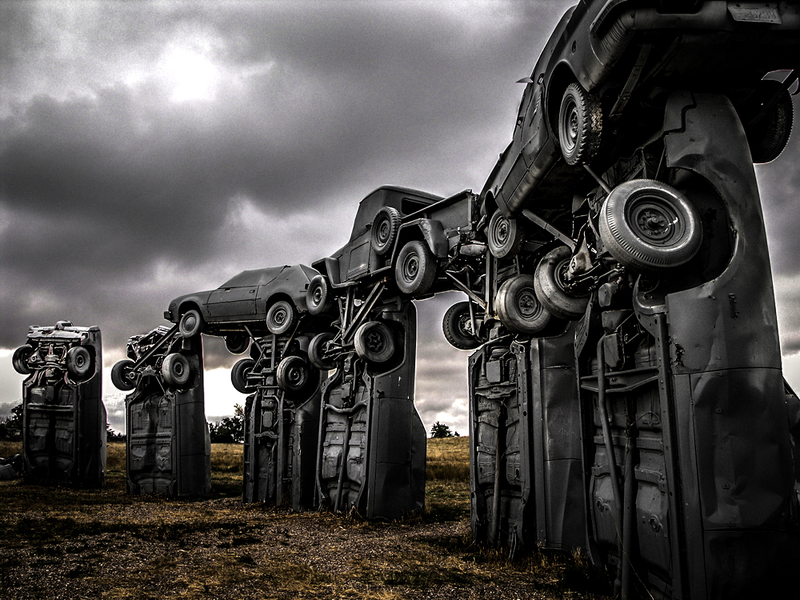 incredible photos of an eye-popping sculpture. Your photographic perspective adds power and mystery to the scene. Now I must go and see it.